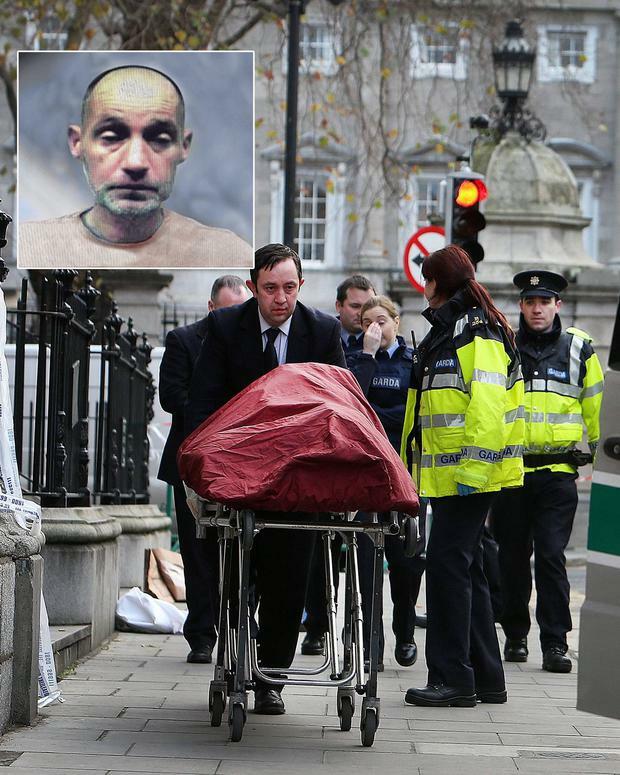 This is the face of the homeless man who was tragically found dead just metres from the Dail. Jonathan Corrie (43), known as Johnny to his friends, came from a caring adoptive family, but struggled with addiction problems since his teens. Ultimately, he lost his battle with heroin addiction, only to be found on the streets in the cold, early on Monday morning. The young woman who discovered his body spoke to the Herald about the shocking experience. Sophie Pigot (25) was on her way to work at around 8am when she saw Johnny lying on steps just yards from Leinster House. 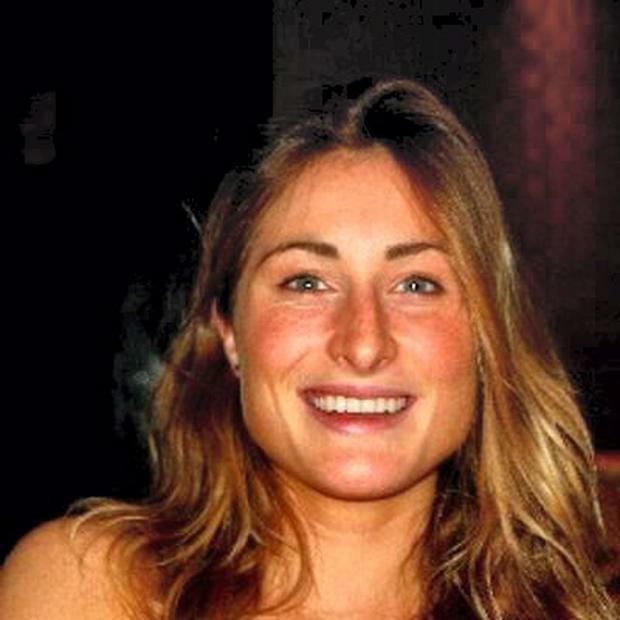 Ms Pigot, a trained lifeguard who works as a professional in Dublin and with the international charity Addressing the Unaddressed, said that she knew something was wrong by the way his body was positioned on the ground. "I was walking on the way to work along Molesworth Street and I saw a man lying in a doorway. He was lying in a very contorted way. "His hand had gone blue. The way he was lying on the ground, it looked like it was broken," she explained. Ms Pigot asked the man if he was okay, but got no response. Her mobile phone was not charged, so she ran across the road to the entrance of Leinster House. A garda on duty said that he would contact the ambulance and she went back over to the man, believing he could still be alive. "I ran over and checked his pulse. He was cold. I went across to Buswells Hotel and got a white sheet," she said. Ms Pigot placed the sheet over his face to cover him from passers-by and for his dignity. When the gardai arrived, she left the scene. Asked why she decided to help the man, when many would have passed him by, Ms Pigot said she would see something was wrong. "I think people think it's okay to act like homeless people are invisible," she said. The Archbishop of Dublin, Diarmuid Martin this morning called for a public summit – and if necessary to host it with the city’s Lord Mayor- of all those involved in fighting homelessness, together with municipal and political and business leaders in Dublin, to address the immediate question of emergency accommodation for the homeless. "I don't want this to be a one day outrage. This is a day when we can do something - when we can move into action," Diarmuid Martin told Pat Kenny on Newstalk this morning. "Homelessness is always a symbol of a whole series of problems. Every homeless person is a sign of a failure of our healthcare system, our housing problem and our food support. The real long-term solution is building social housing that is affordable for those who really need it." Christy Burke has since indicated that he would be open to hosting a summit, and within the next 72 hours. But he added that a representative of the Taoiseach's department would need to be present. Archbishop Martin described a "deeply divided" Dublin as parts rejoice at the increase in spending in the run up to Christmas - but the number of homeless and hungry is increasing. "We have children that are in one room in BnBs - that's not the way for children to be brought up," he said on The Pat Kenny Show. The annual turning on of the Christmas lights on the grounds of Leinster House was postponed today as a mark of respect to the tragic homeless man. Ceann Comhairle Sean Barrett today said the staging of such a celebration would be "inappropriate" in light of the man's death on nearby Molesworth street this week. The event, which involves members of the Oireachtas taking part in a carol service, was due to take place just half an hour before a candlelit vigil at the scene of his death. The issue of Mr Corrie's death dominated proceedings in the Dail today. And in a statement this afternoon, the Oireachtas announced that the Christmas lights ceremony has been postponed. "The turning on of the Oireachtas Christmas Tree lights, scheduled for this evening (Tuesday 2 December 2014) at 5:15 pm, has been postponed. The decision was taken by the Ceann Comhairle of the Dáil Sean Barrett TD who felt it would be inappropriate in light of the tragic death of Jonathan Corrie yesterday close to Leinster House, and the candelit ceremony scheduled for this evening." Johnny was originally from Castlecomer Road, in Kilkenny City. He was adopted by loving parents Brian and Jean Corrie. They were known as a respected family in the area and Brian, who passed away in 2007, served as a director of the board of the prestigious Church of Ireland Kilkenny College. When he was just a teenager Johnny "fell in with a bad crowd" and started to experiment with drink and drugs. "He showed all the signs of a very addictive personality and when he started drinking he just couldn't stop," a source said. It was when he was around 16 that he experimented with heroin and he wound up in the juvenile justice system - though never for violent offences. He was given the benefit of the probation services on numerous occasions, but despite the best efforts of his parents and services, he could not defeat his demons. "Johnny broke his parents' hearts in those teenage years," a source who knew the family said. As he got older, Johnny lived the transient life of a drug addict and stayed at addresses in Kilkenny, Carlow, Waterford and Dublin. Inevitably, he came in contact with the gardai and had around 40 convictions, mostly for public order offences, begging, or possession of heroin for personal use. Although he was not a violent man, he pleaded guilty to engaging in threatening, abusive and insulting behaviour in an incident that took place at Barrowmills, Graiguecullen, in Carlow, on February 20, 2007. Gardai were called following reports of a disturbance. Johnny was lying outside Barrowmills. He was directed to move on by gardai, but as he was leaving he threatened to return and kill his ex-partner. He sent a letter of apology to the gardai and said he had drunk a bottle of vodka before the incident. Defending solicitor Brendan O'Flaherty said he was trying to get residential treatment for an alcohol problem. The case was heard in the same week that his father Brian passed away. Despite his problems, sources said that when he was sober, Johnny was a pleasant, intelligent man. In recent years, he became known to gardai for sleeping in the car park on Drury Street in Dublin's city centre. He sometimes slept in city hostels. He also operated a begging patch with two other men in the area around George's Street and York Street North. In recent weeks, people who had seen him described how he was "in bad nick" and he looked as though his health was failing. When he was found by Ms Pigot, Johnny had been in a doorway, trying to keep warm on a very cold night. Heart-breaking pictures of the scene showed some of his limited possessions, bottles of water, a toothbrush, letters, a sleeping bag - but also a needle. "This case is very tragic. He was adopted at a young age and drink and drugs got to him," a source familiar with the case said. Johnny is survived by his mother Jean and sister Tanya. Local man Alan Cooper said "you couldn't meet a nicer family" but added that Johnny had been "seriously troubled". "Jonathan was homeless for a long time. He was always in trouble with the law over the years, since his teens. He was normal enough up until then, but then he started getting into a lot of trouble."